Why do companies change their logo or branding identity? Most of the time, it is because companies want to keep up with new logo design trends as they develop to avoid falling behind their current or emerging competitors. It may be that a company has decided to undergo a sudden and complete rebrand or they have decided to slowly merge into a new brand. Either way, a new logo and/or new branding elements must be created to do so. We, as consumers, sometimes fail to realize how logo design and brands have dramatically changed over time. Let’s take a look at how logos have evolved throughout the years. Logos have been around in one form or another for several thousands of years. Think about how the Ancient Egyptians branded animals and walls with hieroglyphs to mark ownership, and how the Ancient Romans and Greeks marked their pottery and art to identify the manufacturer. Many great faiths all over the world adopted symbols for ease of recognition and association to people, ideas, and products. Branding is by no means a new phenomenon. The branding we think of today started evolving in the industrial revolution and the era after World War I, but it has existed since nearly 5,000 years ago when people began trading. Progress Over the last century, our lifestyles have gradually become more complex. This has been a period that observed exponential growth in almost every eld of work. Print and advertising have also pushed logos to the forefront. Let’s take a look at a few major brands and how they’ve evolved over time. The 70s were an era of color and funky letters. Many logos were updated during this time from black and white to bright color. Big block letters were in, and sans serif fonts made appearances throughout many different logos. 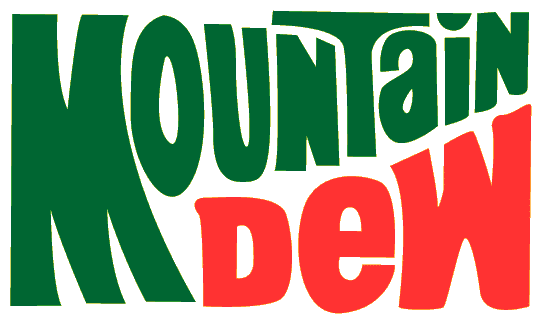 Logos in the 80s became even more saturated with color and fonts had more of a custom look to them. Mountain Dew added another color and Doritos added their signature chip symbol. Throughout the 90s, shapes and color usage in logos continued to evolve. They became more simplistic. A popular trend during this time was adding shapes in the background to add contrast. During the 2000s, brands began incorporating three- dimensional elements into logos in addition to the simple accent shadowing. This change improved logos to look more like a piece of dimensional graphic art than the simple logo designs of the 1970s and 1980s. Today, logo trends are gearing more towards minimalism. Brands are rolling out logos that are more honest and simplified to better resonate with people. Versatility is the primary reason for these simplified designs. With more of an emphasis on digital marketing and mobile devices, it is increasingly important to have logo designs that can adapt to small screen sizes and can capture the attention of the consumer. It’s important to consistently analyze your logo to confirm that it’s in line with modern trends and reflective of your brand’s identity. If it’s time to update or redesign your logo, consider the value of maintaining your brand recognition. More often than not, mature brands who rebrand themselves do so in a way that maintains brand recognition by going with a variation of the original design. Remember, trends come and go. But in a fast- changing world, keeping up with competitors and maintaining a modern, relevant brand is key to success.